Black Coffee, Djeff Feat Leslie Kisumuna, Portia Monique, Nas & Damian "jr. Gong" Marley, D&apos;angelo and more. This show was 39th in the global electronica/dance chart, 61st in the global rnb/hip hop chart and 91st in the global funk - soul - jazz chart. 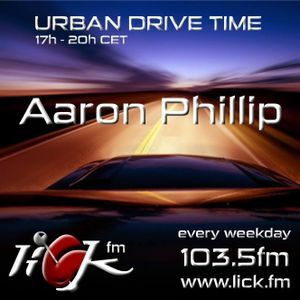 Aaron brings a plethora of urban music for 3 hours each and every week day, live on Lick!